A microbrew, also known as a craft beer, is produced in a small commercial brewery that produces no more than 15,000 barrels (or just under half a million gallons) of beer per year. Exact definitions vary, but the terms are typically applied to breweries that are independently owned and are characterized by their emphasis on quality, flavor and brewing technique. Within the past 5 years we have seen an explosion of microbrew brands hitting the market. 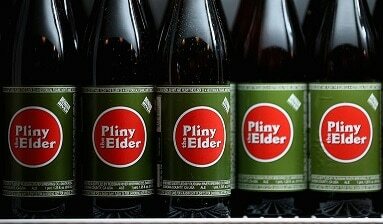 They run the gamut from fun names to proprietary insider titles like Pliny the Elder, a very popular microbrew here in Northern California. These hand-crafted beer recipes have created a whole new market for this category. Their popularity has surged to the point that they are collectively beginning to compete with the big beer brands. So why don’t we see more of these brands in the national markets? Why do the vast majority of microbrews seem to be regional, metropolitan, or even neighborhood brands? It’s the weight. Microbrews, like other beverages, are just plain heavy. They are made up of two of the heaviest substances, liquid and glass, resulting in expensive transportation costs. But weight – there’s more. Microbrews are best stored at temperatures under 80 degrees and are best enjoyed fresh. That means they have to be transported in air-conditioned trucks, and have to be kept in climate-controlled warehouse in the cities where they are to be distributed. This results in prices that increase the further the microbrew has to travel, creating a real challenge for the small producer to expand their brand. Now, add to that the taxes that are levied at every point along the distribution chain from the producer to the distributer to the retailer, and the realization that each tier (distributer and retailer) is basing its mark-up on the total cost to them when “landed” in their warehouse. This means all markups are based on the cost of the product, the cost of the shipping, and the cost of the taxes as well. Local microbrews that are selling in neighborhoods or even in one city can avoid this amplification of costs and deliver to their local customers at a much more completive price. This advantage keeps most of them planted in their own region. They would have to work on much slimmer margins to “export” to other regions or states, so generally their market areas stay relatively small. Why can’t they just sell over the internet? Well, where it is legal, they can, if the buyer is willing to pay for the cost of air-conditioned delivery for a relatively weighty product. But when delivery starts to cost as much as the product itself, buyers are more likely to opt for a retail purchase. So we are, for the most part, right back to the so-called “three-tiered system” where producer, distributer, and retailer prices are heavily influenced by weight and transportation costs. But let’s look on the bright side for a moment. These challenges allow for a multitude of great, local microbrews to compete in a local market. They can deliver quality and build regional brands that may not have a chance in the national marketplace. Still, strong national brands are made from strong regional brands. So when a local brand gets strong enough, it can become an acquisition or merger target that will enable much broader distribution. Meanwhile, we get to enjoy an increasing variety of hand-crafted quality microbrews that are “our” microbrews because their weight keeps them close to home! 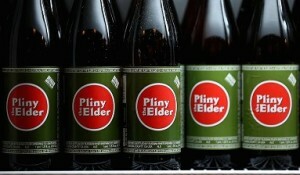 We can hardly wait to taste the next release of Pliny the Elder!